Pelvic Pain And Chiropractic Adjustment: Does Chiropractic Care Effectively Treat Chronic Pelvic Pain? Many patients who experience chronic pelvic pain have undergone several types of medical testing to determine what internal medical condition is causing the pain. Dysfunctional sacroiliac joints make it hard for test test to give true results. The good news is that pelvic pain and chiropractic adjustment is closely associated, and patients often turn to this type of treatment so they are able to better manage the pain. How Can Dysfunctional Sacroiliac Joints Cause Pelvic Pain? Sacroiliac joints, also referred to as SI joints, are located between the bones that makeup the pelvis. The function of these joints is to transfer the force between the upper part of the body and the lower areas of the body. 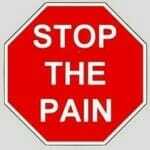 SI joints can withstand large amounts of stress; however, with too much consistent stress inflammation causes pain. When the joints become inflamed, the surrounding muscles constrict to prevent further damage. 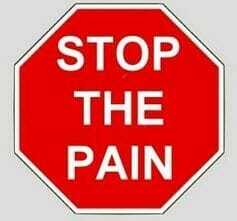 However, the muscle cramps become painful for the patient as well. You may receive a referral to a chiropractor after your physician rules out internal reasons for the pain and determines that the pain is the result of inflamed SI joints. Injury to the SI joints cause pelvic pain, and chiropractors are extremely competent at treating this type of pain. There are several steps a chiropractor uses to treat the patient. In the first step, the chiropractor will attempt to help the patient become more mobile while also reducing the amount of inflammation that is around the joints. During this stage, the use of ice packs, sacroiliac belts and adjustments are helpful. The second step, known as the stabilization stage, may include exercise to help the patient regain his or her strength. The last step, or maintenance step, is to encourage the patient to continue to exercise to prevent the reoccurrence of the pelvic pain and chiropractic adjustments performed regularly will also help to keep spine in alignment. Are you experiencing chronic pelvic pain that is not relieved by traditional medical intervention? Schedule an appointment with Champion Chiro today!